When a check engine light comes on it can mean many things. Some people are inclined to put off taking it into an auto repair shop for fear they will get bad news. However, a check engine light could be something minor that will become a major repair if it is not taken care of sooner than later. Bring your vehicle in for check engine light repair near Fife and let Federal Way Automotive & Radiator run a check engine light diagnostic scan to find out just what your car is indicating. There are two main reasons why you should bring your car in for a check engine light diagnosis as soon as possible: 1. continuing to drive it while the Check Engine Light is illuminated may be a safety issue for you, and 2. the problem may be a small one that escalates into something larger because it was not remedied in time. A check engine light repair can be as minor as a faulty sensor. It may mean your vehicle is running with excessive emissions. Whatever the concern, the Check Engine Light is on for a reason and should be addressed right away. 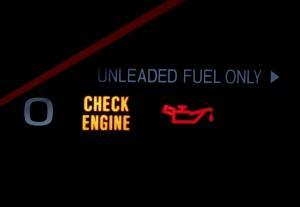 At times a check engine light may be flashing, that is an indicator that immediate repair is very important. Definitely do not hesitate to bring it in, in this case. Continuing to drive can be a serious hazard. At Federal Way Automotive we have the technology and the experienced technicians to read your check engine light code accurately. No matter which dashboard light comes one, we understand the codes and their meaning, so we can get right to the source of the problem. We save time and costs by quickly getting to the repair. Having worked on check engine light diagnostics and repair since 1982, we offer expert auto repair. As a locally-owned and operated business, we truly care about our customers. We share the same roads and we want you and everyone else to be safe. That is why we are thorough and detail-oriented in everything we do. Never leaving anything to chance, we inspect the necessary repair that caused the check engine light to come on, as well as all the related systems. 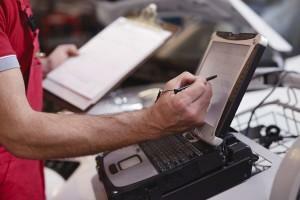 take the time to go over the diagnostic codes revealed in your check engine light repair near Fife. They answer any of your questions and make sure you feel comfortable in understanding the issue that caused the Check Engine Light to light up and what is involved in the repair. 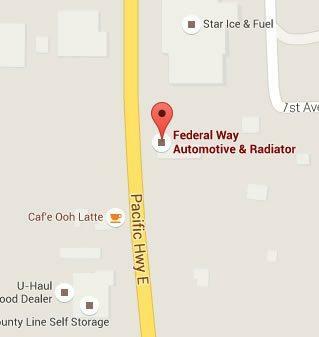 We enjoy serving the people of Fife, Washington. Fife has many unique places to see, making it a favorite spot to visit. I went to four mechanics that couldn’t figure out why my check engine light was on before I got to Federal Way Auto… who figured it out in about an hour.